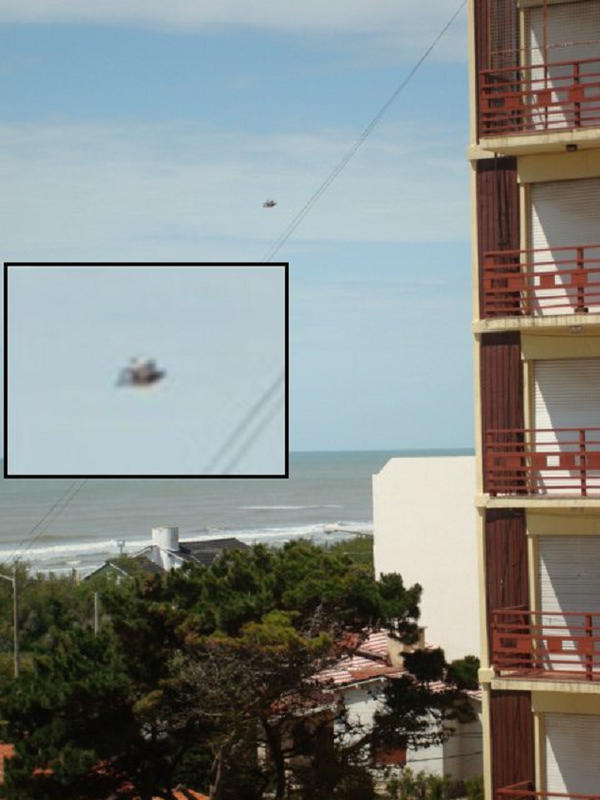 Daytime UFO photograph taken in Argentina on 10th June 2010. Witness report: I’m a real estate broker in Argentina, and on this particular morning I was taking photographs of the building you see in photo, and in particular one apartment. I had not noticed anything ususual when I took my photos. The very next day, I showed this picture to a customer, and he noticed the unknown object in the sky. He told me it was a UFO. I have no experience in these types of things, so you look and decide for yourself. Click on the photo to enlarge!